GEOKART executed more than 600 projects in 40 countries of Africa, Asia and Europe.The main terrain of company activity were the Middle East countries. Outside Europe GEOKART operated in such countries as Afghanistan, Algeria, Ethiopia, Cameroon, Tunisia, Libya, Egypt, Iraq, Kuwait, United Arab Emirates, Senegal, Nigeria , Bahrain, Vietnam, Mongoliaand many other, difficult not only for their climate. Company many times had been undertaking pioneer technological solution, especially in the frame of maps elaboration – e.g one of the first digital maps, geographic information systems (GIS), cadastre. 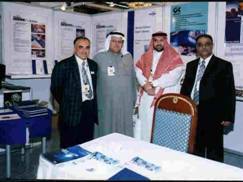 From the other hand GEOKART performed geodetic and cartographic projects for vast territories covering whole countries such as Libya, Iraq or Kuwait. GEOKART registered as a consulting company with World Bank, FAO, UNDP,UNIDO - executed several projects for these international organizations, winning tenders in which the best world consulting companies had started. 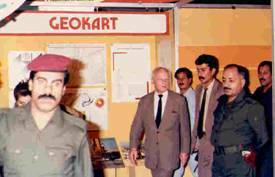 GEOKART had also provided in service training facilities to survey personnel within the frame of UN assistance to developing countries. 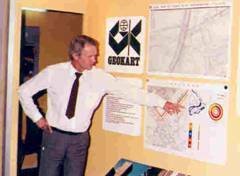 In GEOKART projects executed abroad had come and gone several thousand of Polish engineers and technicians not only from the strict geodetic circle but also experts on civil engineering, planners and designers, architects, construction technicians and many others. After coming home their foreign experiences have frequently born fruit by bringing modern technology into effect in the mother companies. GEOKART during its long term activity cooperated with many foreign companies such as Aero Service Corporation- Houston, USA; Asia Air Survey Co. Ltd –Tokyo; SPOT –IMAGE- Toulouse, France; IGN- France; KLM Aerocarto-Netherlands, Nortech Surveys-Calgary; Swede -Survey-Sweden; Finmap Oy, BKS-Survey, UK. ; and many other. These cooperation included also main local surveying and mapping offices in the countries where the project were executed. One of our most significant project was establishing and measurement of 3 000 stations of geodetic and astronomical network for the whole territory of Iraq – including precise leveling, gravimetric observations. 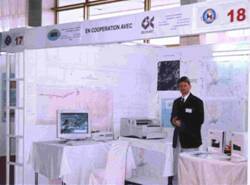 During the same project we elaborated topographical maps at scale 1: 25 000 for the 1/3 country area, founded Geodetic Computer Center working for the need of surveying institutions of Iraq. The other remarkably project was elaboration of the Basic Map of Baghdad at scale 1: 500 with underground utilities survey. GEOKART establish also for requirement of Iraq geology – Remote Sensing Center. Our projects in Iraq had included also surveying and mapping for irrigation, design of highways, airport, road and bridges. GEOKART also won international tender issued by Iraqi authorities for establishing of about 20 000 of the first order geodetic network for an amount of 50 millions USD. 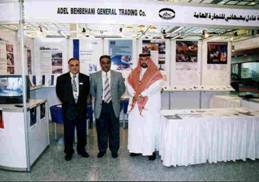 Unfortunately, because of the war Iraq – Iran and the next invasion of Kuwait execution of the said project was cancelled. Nevertheless, we underline that for efficient reconstruction of Iraqi infrastructure works of such kind , using of course newest technologies should be carry out as soon as possible. In GEOKART projects executed abroad had come and gone several thousand of Polish engineers and technicians not only from the strict geodetic circle but also experts on engineering, planners and designers, architects, construction technicians and many others. After coming home their foreign experiences have frequently born fruit by bringing modern technology into effect in the mother companies. mapping for road design and other. No 18696 and with Dun&Bradstreet Lookup under No 422132118.